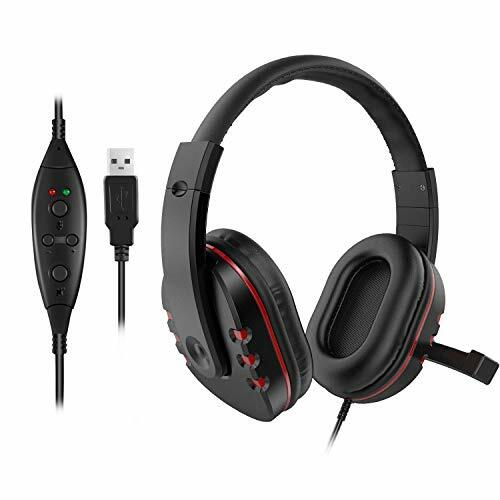 HEADPHONES APPLICABLE:PS3/PS4 GAME COMRADES COMMUNICATION,COMPUTER GAMES COMRADES COMMUNICATION,COMPUTER SKYPE CHAT,GAMERS ESSENTIAL COMMUNICATIONS HEADSET. For PS3, this product can not transmit background sound of the game, just for Live Chat. For PS4, it support both background sound transmission and live chat. ✔Compatibility: 5.9 feet cable length Headset great for PC Laptop Computer SONY PS3 PS4 and etc. ✔Hi-quality Stereo Game Sound: Premium stereo game sound with crystal-clear communication on the Network, immerse yourself deeper in your favorite games: feel the intensity, experience superb acoustics and live the game. ✔Comfortable & Adjustable：Earmuffs use new generation PU leather, more skin-intimacy; reduce sweat and heat, more suitable for long time wearing，adjustable retractable headband fits for all head shapes. ✔ Specificity for PS3： An additional data cable needs to be added between the USB headset and the PS3 to connect，It can Live Chat, But can't transmit background sound of the game. For PS4, it supports both background sound transmission and live chat. If you have any questions about this product by LESHP, contact us by completing and submitting the form below. If you are looking for a specif part number, please include it with your message.